Opened in 2011 by a former longtime Turf Club bartender, Black Cat is loosely modeled on the Haunted Mansion at Disneyland. 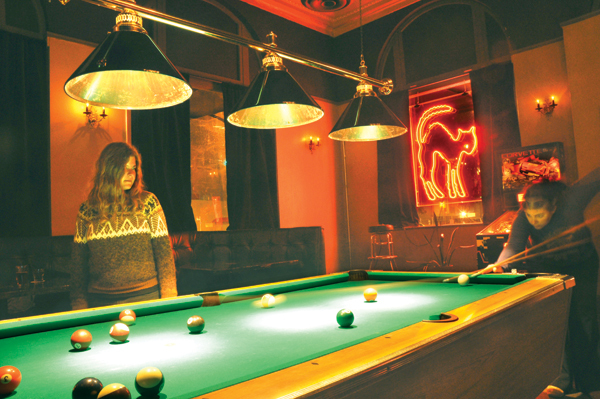 Though located in a slightly shady patch of City Heights, the bar is a vast improvement over its predecessor, Nancy’s Pub — an ultradive known for regular drug sales. Now you can spend an evening sipping $2 PBRs, eating street-tacos from the cart out front, and selecting tracks from Black Cat’s eclectic jukebox. Look for the actual black cat that lives in the bar, and ask Matt to make you a martini.